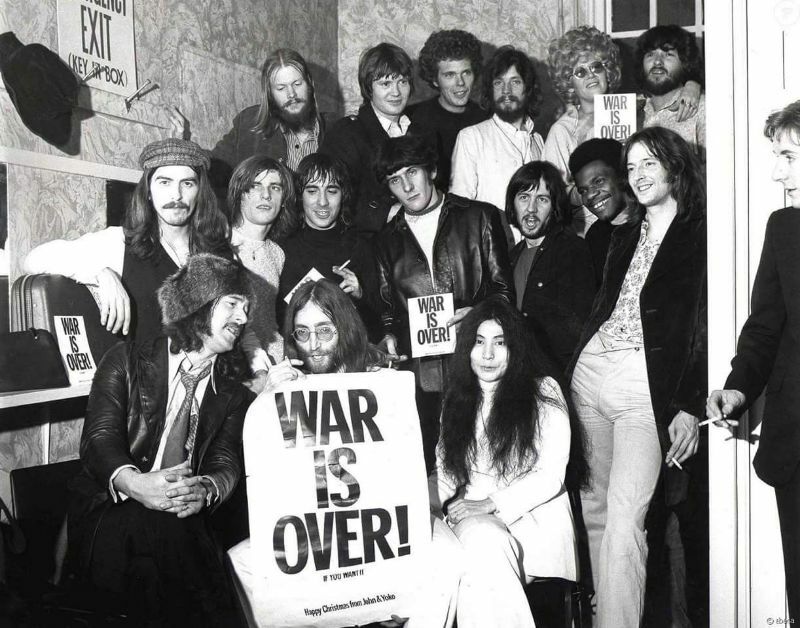 After months of trying to bring their Bed-In to the United States, John Lennon and Yoko Ono launched the worldwide billboard and poster campaign, War Is Over! 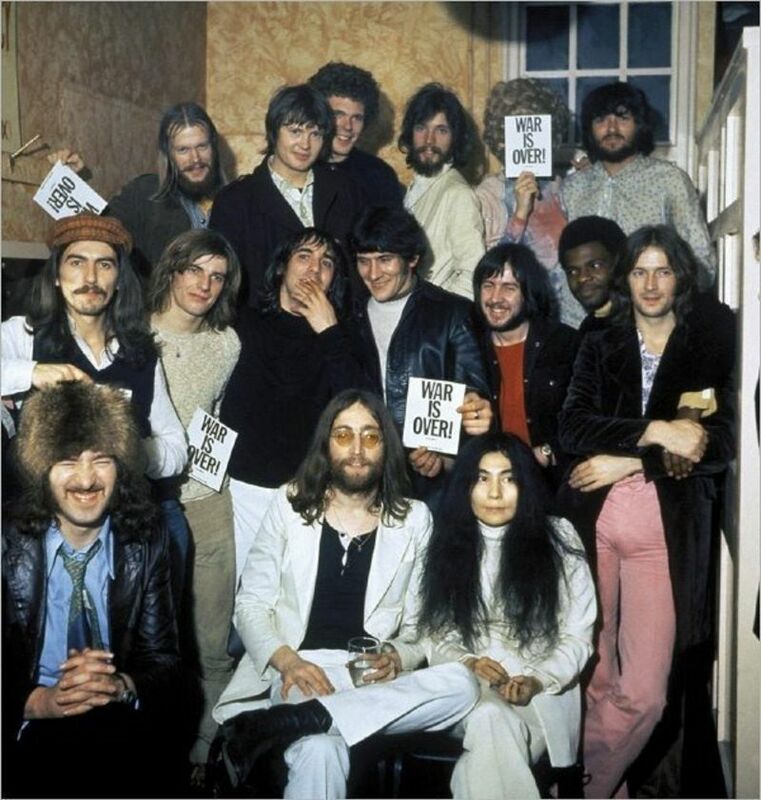 The campaign was launched on 15 December 1969 at the “Peace for Christmas” concert, a benefit for UNICEF held at London’s Lyceum Ballroom. 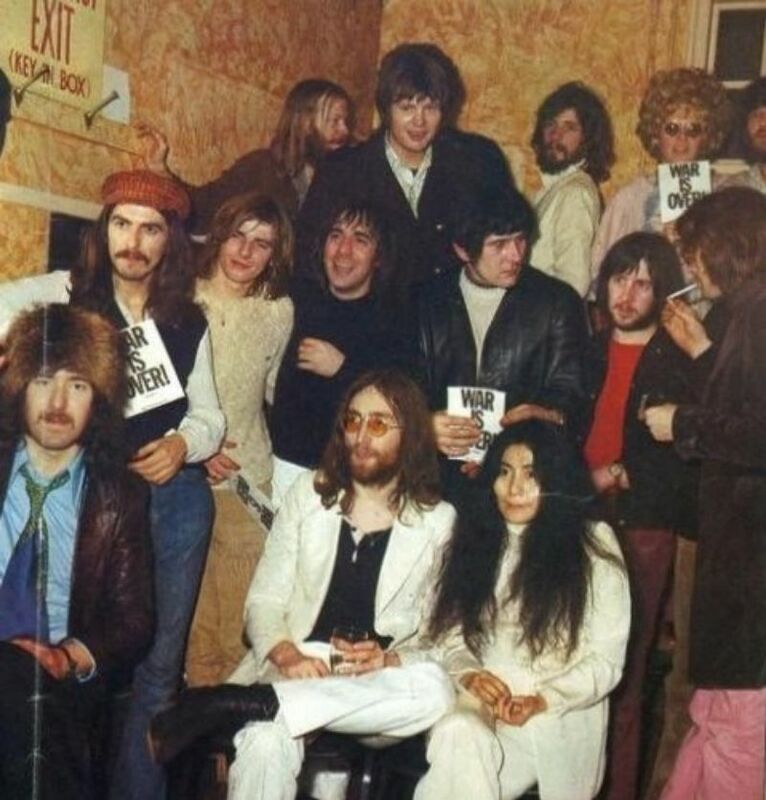 John Lennon and Yoko Ono performed with George Harrison, Keith Moon, Billy Preston, and The Delaney and Bonnie Band, Alan White, Bobby Keyes, Keith Moon, Klaus Voormann, Jim Gordon and Billy Preston – as the Plastic Ono Supergroup. 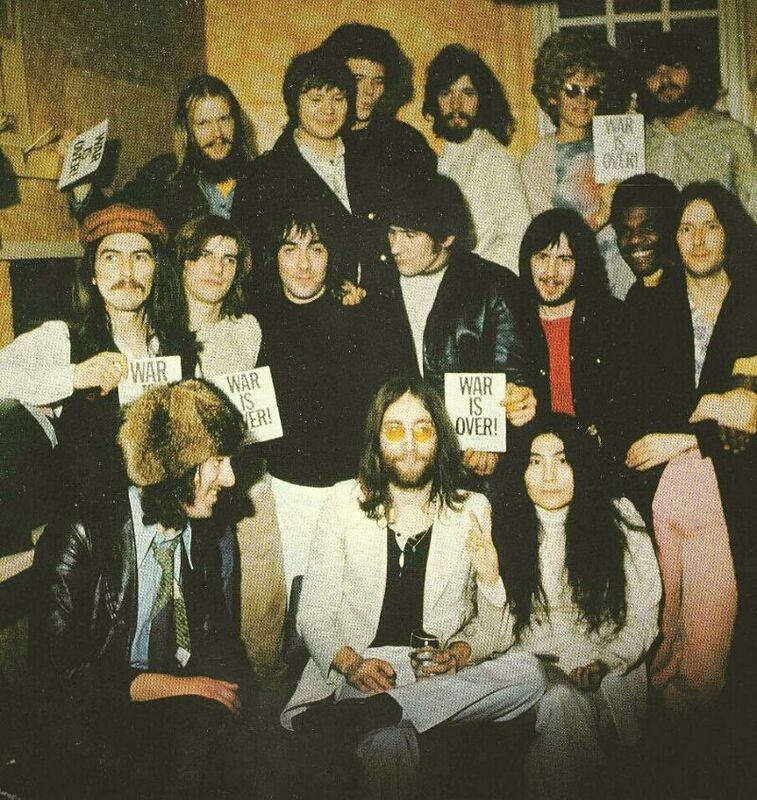 Their two-song, twenty-five minute set featured extended versions of both sides of their latest single: Cold Turkey and Don’t Worry Kyoko. A huge War Is Over! banner was hung across the stage, and postcards were distributed to the audience. “Some of those kids – they were really young- it was a UNICEF concert show or something. Some of those kids formed those freaky bands later. Because there were about 200 kids at the front there, some were about 13, 14, 15 who were looking at Yoko and looking at us the way we were playing that Don’t Worry Kyoko and it really reached a peak of (whatever you call it) it really went out there that night.